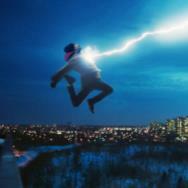 Movies.com > Movie News > Marvel Studios Countdown: Who Are the Comic Creators Behind 'Iron Man 3'? 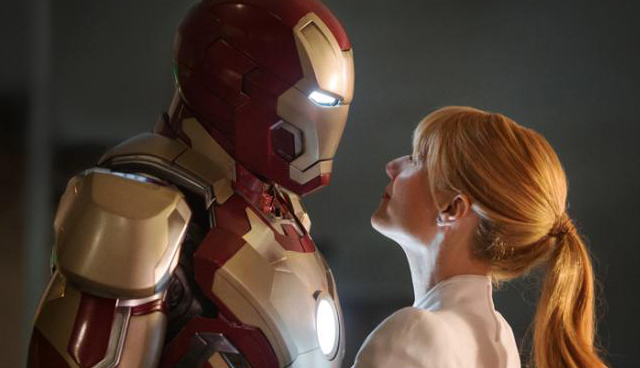 Marvel Studios Countdown: Who Are the Comic Creators Behind 'Iron Man 3'? Literally thousands of people are credited at the end of Iron Man 3, so if you didn’t notice a few of the names, that’s all right. Somewhere amidst all the special effects houses and assistants to the hairstylists were a handful of comic book creators getting their due for their contributions to the Iron Man mythos. Shane Black is getting a lot of credit for graduating from A-list screenwriter to A-list director with Iron Man 3, but there’d be no Iron Man 3 at all without the hard work of the comic book writers and artists who provided the pieces with which to craft a blockbuster film franchise. The first group of names from the mighty Marvel bullpen are the folks credited with Iron Man’s creation: Stan Lee, Jack Kirby, Larry Lieber and Don Heck. Those are obvious. The credits that surprised me were the acknowledgments of the other major players who added their own elements to the comics that Iron Man 3 utilized in some way. Adi Granov, Warren Ellis, Bob Layton, David Micheline and John Byrne all receive credits as well. Who are all these guys, and what did they do? Stan Lee - We’ll start with the most famous one from the list. Lee was the writer who came up with Iron Man, but because he was busy writing and editing most of the Marvel line back in 1963, he passed the writing duties along to his brother, Larry. Though often solely credited as the creator of the Marvel Universe, he didn’t do it alone -- he was just the most gregarious self-promoter of the bunch. Larry Lieber - Stan Lee wasn’t always a “Lee;” he was a “Lieber.” His brother Larry worked from Lee’s loose plot about a military industrialist who becomes an armored superhero to script the first appearance of Iron Man in Tales of Suspense #39. Lieber is probably most well-known for his dedication to writing the long-running Spider-Man newspaper strip, but his role in the creation of Iron Man shouldn’t be discounted. 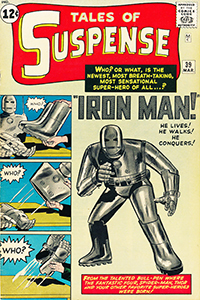 Jack Kirby - Kirby cooked up the heavy-duty grey armor that appears on the cover of Tales of Suspense #39 and makes a faithful appearance in the first Iron Man film. Spider-Man cocreator Steve Ditko cooked up Stark’s later, more sleek red-and-gold look, but even that suit carries over a lot of Kirby’s design, from the rectangular slits for the eyes and mouth to the circular reactor in the middle of the character’s chest. Don Heck - Tony Stark and Pepper Potts got their looks from artist Don Heck, and he drew many of Iron Man’s earliest adventures. Urban legend had Heck working from Kirby’s layouts, but that doesn’t seem to be the case, making Heck’s contributions to Iron Man even more significant. How significant? He also cocreated Iron Man’s most notorious archenemy, Mandarin, who can of course be seen in Iron Man 3. If you want to read these early works there are actually a few ways to do this. 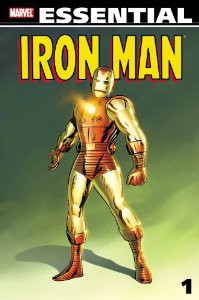 You could subscribe to Marvel Unlimited and gorge yourself on early Iron Man (as well as thousands of other books that Marvel offers through its digital subscription plan). You could buy them issue by issue on Comixology at prices much lower than you’ll find on the secondary market for the original issues. 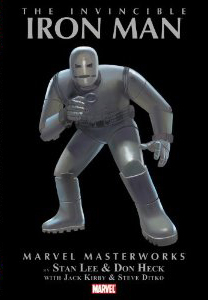 If you want physical copies, Marvel offers a Masterworks line, in both hardback and paperback, that collects the early issues on high-quality paper. A cheaper option than that are Marvel’s Essential paperbacks, which give you about 25 issues in one book, printed on low-cost black-and-white newsprint. 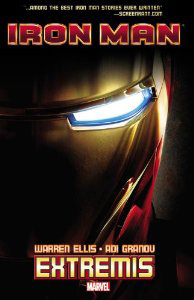 Adi Gravnov and Warren Ellis - Artist Gravnov has been a huge inspiration to the cinematic Iron Man, even providing early teaser posters for the first film. It was Gravnov’s armor designs that informed the way the character looked across all of his film appearances. Warren Ellis is the writer who teamed with Gravnov for the popular Extremis storyline. Though Iron Man 3 doesn’t follow Extremis as gospel, it certainly borrows enough for Ellis and Gravnov to deserve some serious credit. The movie would be totally different without Ellis’ ideas brought to life on the screen. John Byrne - Superstar veteran artist John Byrne had an important hand in cocreating James “Rhodey” Rhodes, and the artist takes sole credit for making the character black (his race wasn’t specified by Layton and Michelinie’s scripts). 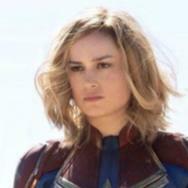 That little decision produced one of Marvel’s most popular black superheroes, as well as gigantic truckloads of money for actors Terrence Howard (who played “Rhodey” in Iron Man) and Don Cheadle (who played him in Iron Man 2 and 3). 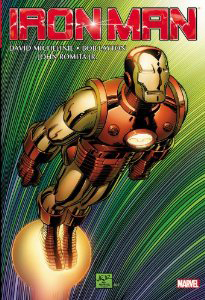 You can pick up Iron Man: Extremis in book form or as an animated motion comic. Layton and Michelinie’s work has been collected in several formats, but the must-have is the recent omnibus, which collects over 900 pages of Iron Man goodness (it includes “Demon in a Bottle” and that first Rhodes appearance, amongst other stories). 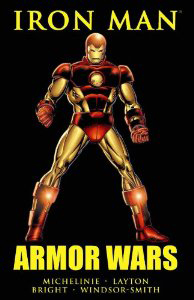 If that’s too much of an investment, just snag the smaller “Armor Wars” collection. 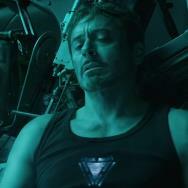 It’s one of the best Iron Man storylines.